ZWILLING has been building items of remarkable quality for nearly 300 years. 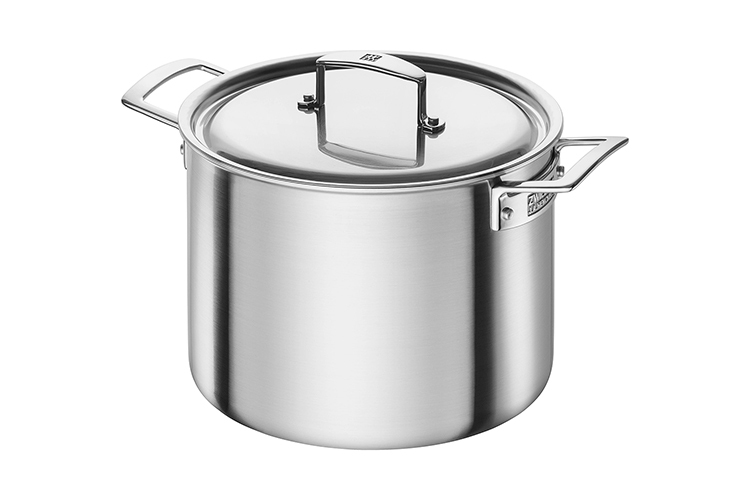 Aurora Stainless Steel Cookware may be a new to the market but it sports the quality one would expect from Zwilling. The cookware’s satin finish pared with mirror finished handles just screams top tier! The Sigma Clad 5-ply construction guarantees even heating not only at the bottom of the pan but up the sides as well. The cooking surface is 18/10 stainless steel which will not interact with food and the exterior satin finished is made of magnetic steel which means this cookware is compatible with all cook tops including induction. The base of all pans is flat and will not warp or bulge under heat making Aurora perfect for modern flat cook tops. You will appreciate that all long handles are stay cool handles. The loop handles and lid handles are large making for ease of movement. The rolled brim of this cookware makes for a clean pour every time.